One of Jackson's most well-respected lawyers is leaving his partnership position at one of the area's most prominent firms to start his own practice. Robert L. Gibbs will join City Councilman Quentin Whitwell to form Gibbs Whitwell PLLC. "I always wanted to have a practice that had my name on the letterhead," Gibbs said. Gibbs joined Brunini, Grantham, Grower & Hewes in 1998 after seven years as a Hinds County Circuit Court judge. "His reputation is impeccable as a judge, as a person and as a businessman, and as a lawyer," Whitwell said. 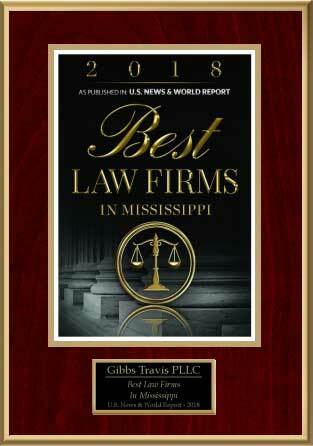 Gibbs is considered one of the top lawyers in the state and handles cases in and outside Mississippi. He has represented Equitable Insurance Co., Gulf Guaranty Insurance, Starbucks and Anheuser-Busch among others. He recently represented the secretary of state in the Mississippi redistricting case, where the federal three-judge panel ultimately agreed with his position. "Robert L. Gibbs has been a valued member of Brunini, Grantham, Grower & Hewes for 13 years," Brunini managing partner Granville Tate said in an e-mailed response. "He is a talented attorney and a well-respected member of the Bar, community and our firm. ... We wish Robert and his family the very best as he begins a new chapter in his esteemed career." Gibbs' last day at Brunini will be June 30. "Brunini has been a great place to work," Gibbs said, dismissing rumors that he was forced out. Gibbs will own 51 percent of Gibbs Whitwell PLLC creating a majority minority firm. "He has always said it was his lifelong ambition to establish his own law firm, and I wanted to be part of the supporting cast," Whitwell said. Now is the right time to set out his own shingle, Gibbs said. He will focus on defense work, white-collar crime and building his mediation and arbitration clientele. Having his own firm gives him more flexibility to do what he wants to do, he said. Whitwell explained that at times being with a large firm with hundreds of lawyers can create conflicts that prevent lawyers from representing some people. 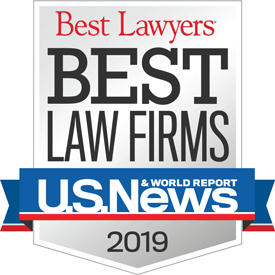 "We are better off to represent our clients in a boutique firm atmosphere."